No matter the season, your Tahoe wedding will be spectacular. 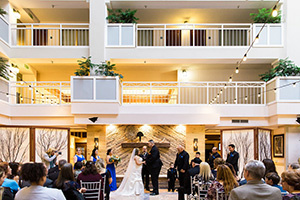 Glittering winter, sunny spring, balmy summer, or colorful fall—every season offers a picturesque setting for your Lake Tahoe wedding ceremony. When planning your big day, picture yourself surrounded by family and friends and all of Lake Tahoe’s beauty. Imagine exchanging vows surrounded by mountains and crystal-clear water. 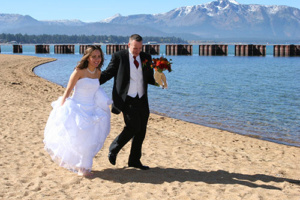 Let our beachfront wedding partner set the stage for your Lake Tahoe wedding ceremony on the beach. Visit LakeTahoeBeachWeddings.com for more information. Learn more about our wedding planning services here!